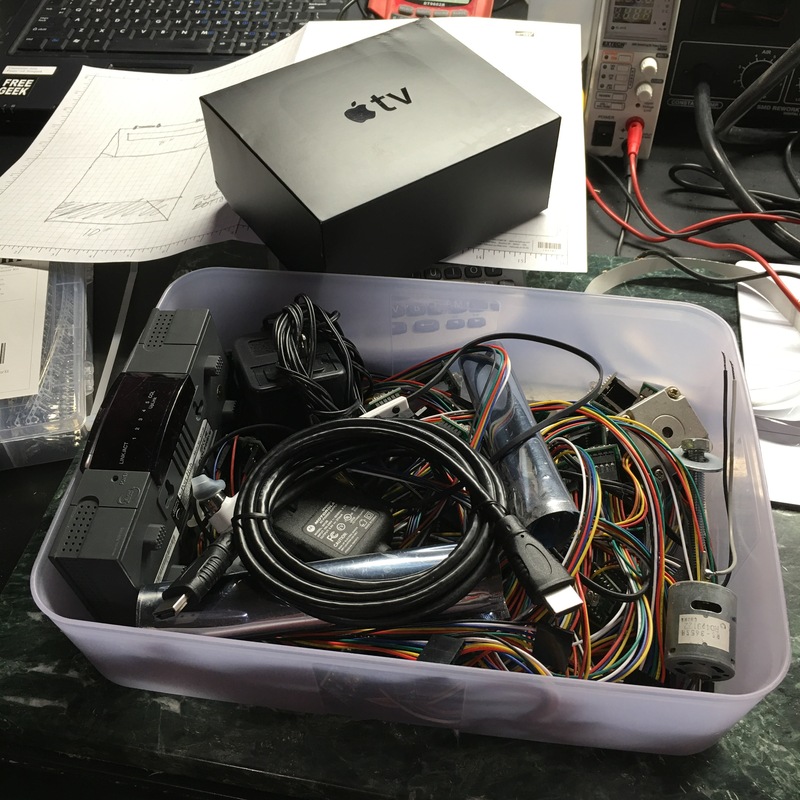 In an effort to assessing what I have, Instarted going through the boxes of stuff at and found some interesting things to bring to MakerCave to work on: ShiftBrite LED Modules, various motors, an Apple TV and 5-port hub. 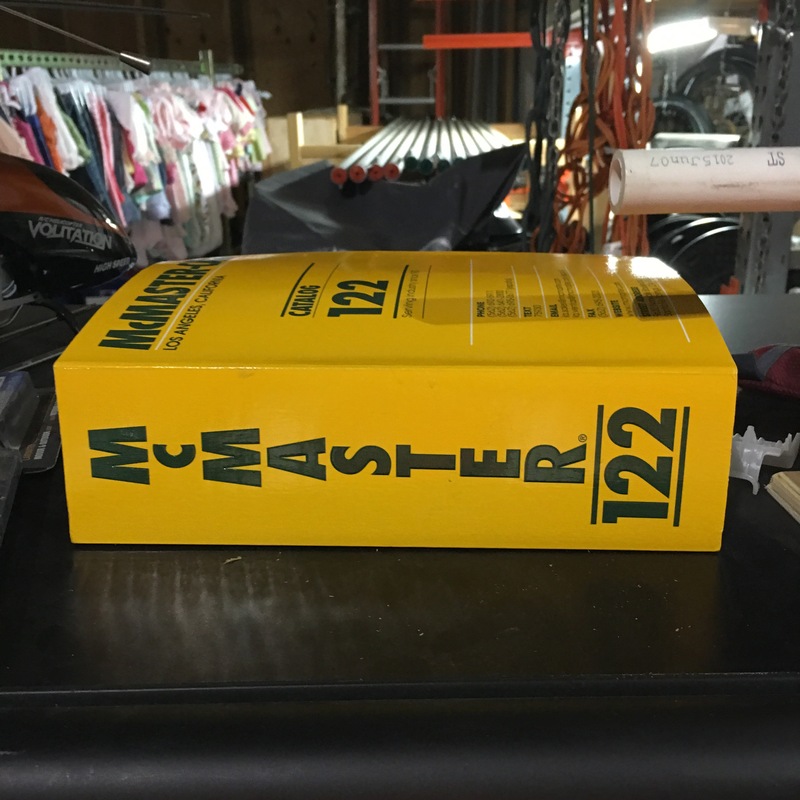 Every shop worth its weight should have a copy of the McMaster-Carr catalog. I started assembling my newly-arrived Kickstarter-backed Dobot Robotic Arm. 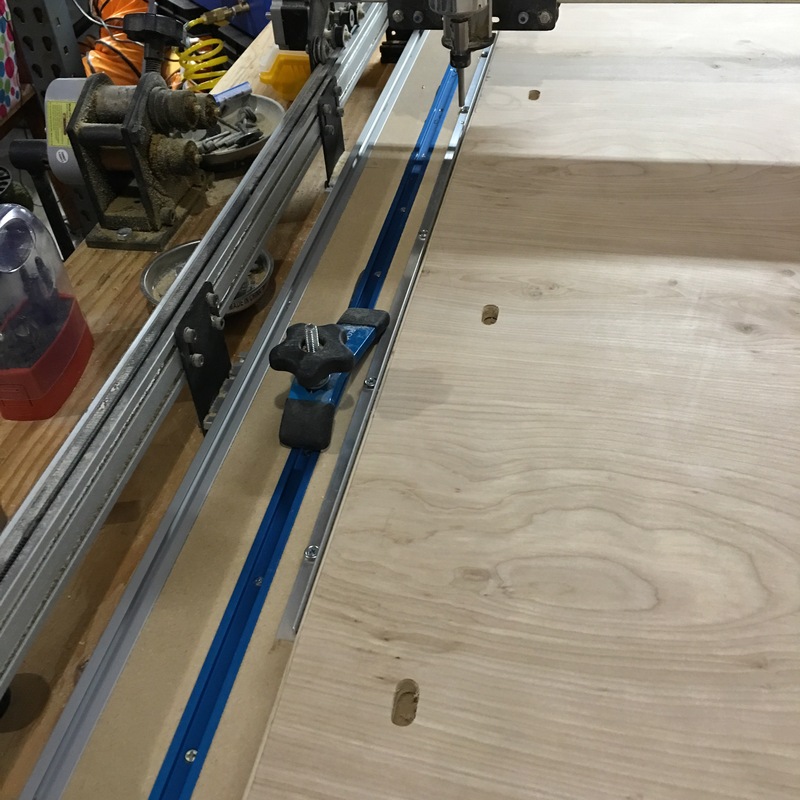 I installed a guide on the Shapeoko to better align the work piece. 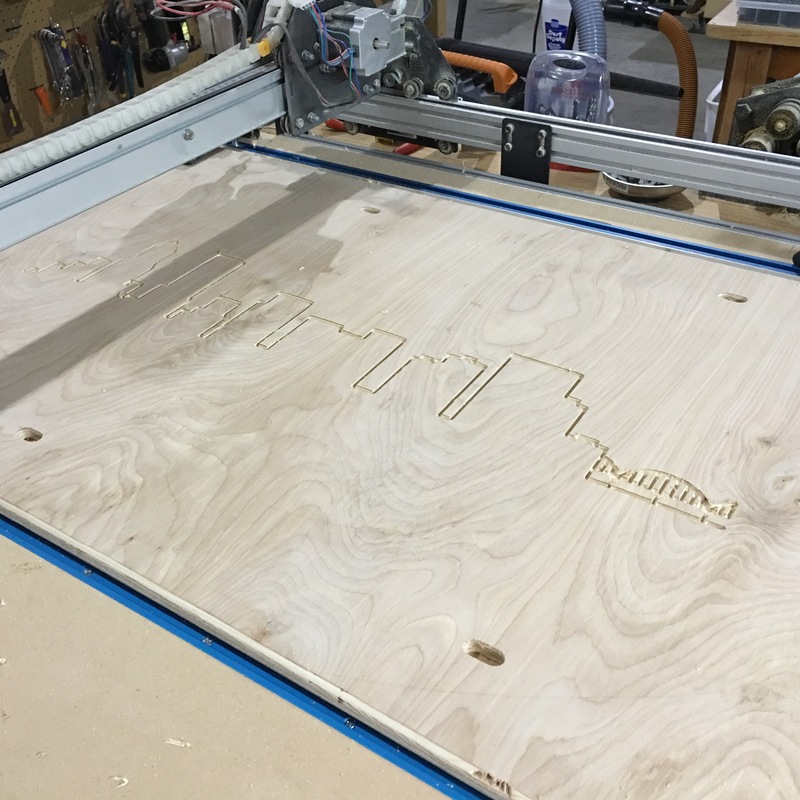 I engraved the Portland skyline art on the Portland Media Community TV Shroud. 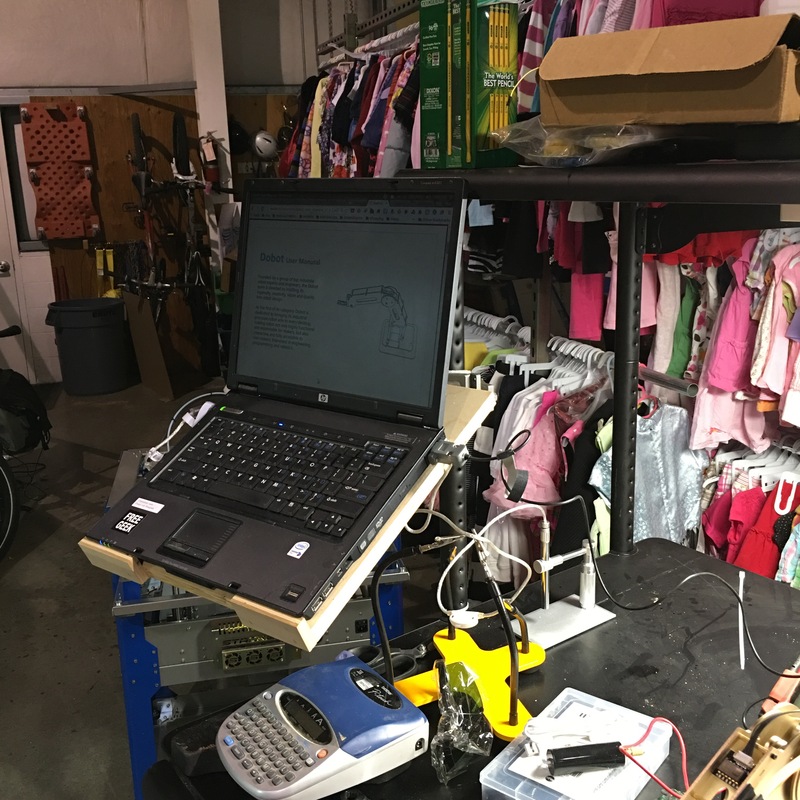 To make more desktop space at the Electronics Workspace, I made a cantilevered laptop tray. 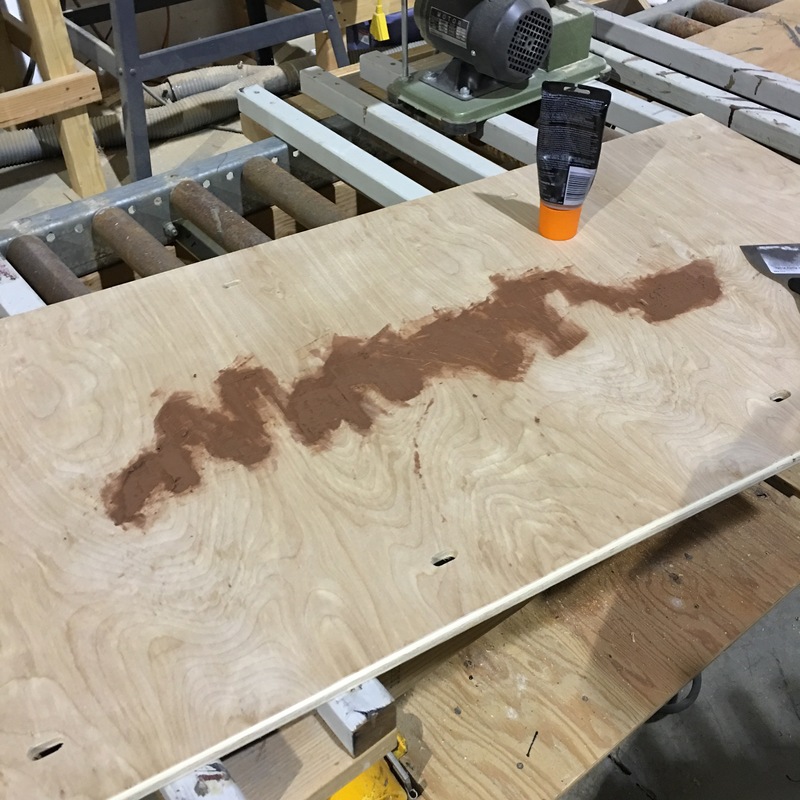 With the Portland skyline artwork routed out, I laid the first layer of wood filler. 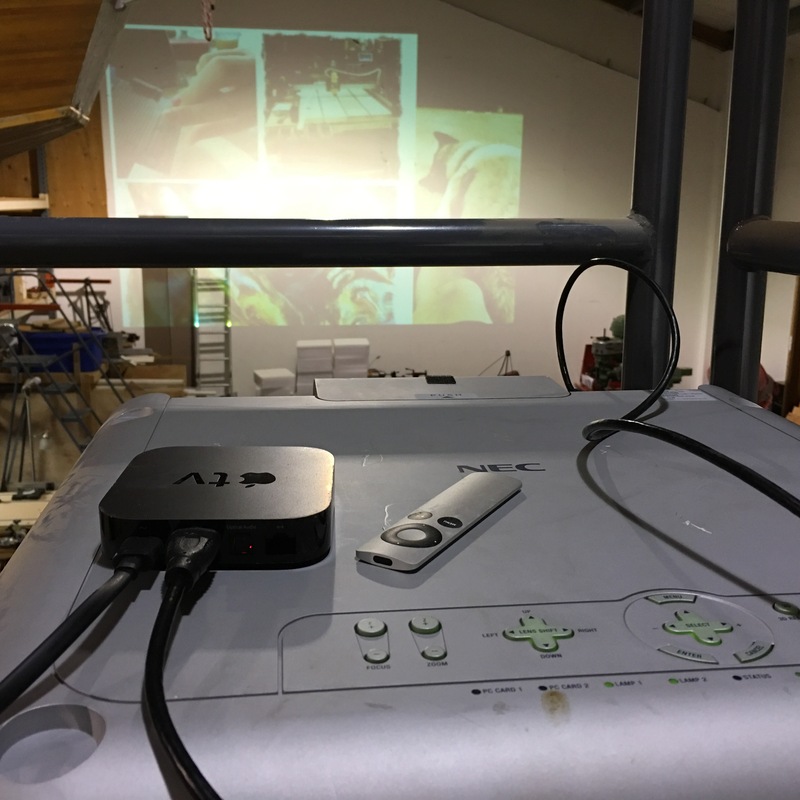 I hooked up the Apple TV to one of the GT5000 NEC Projectors. 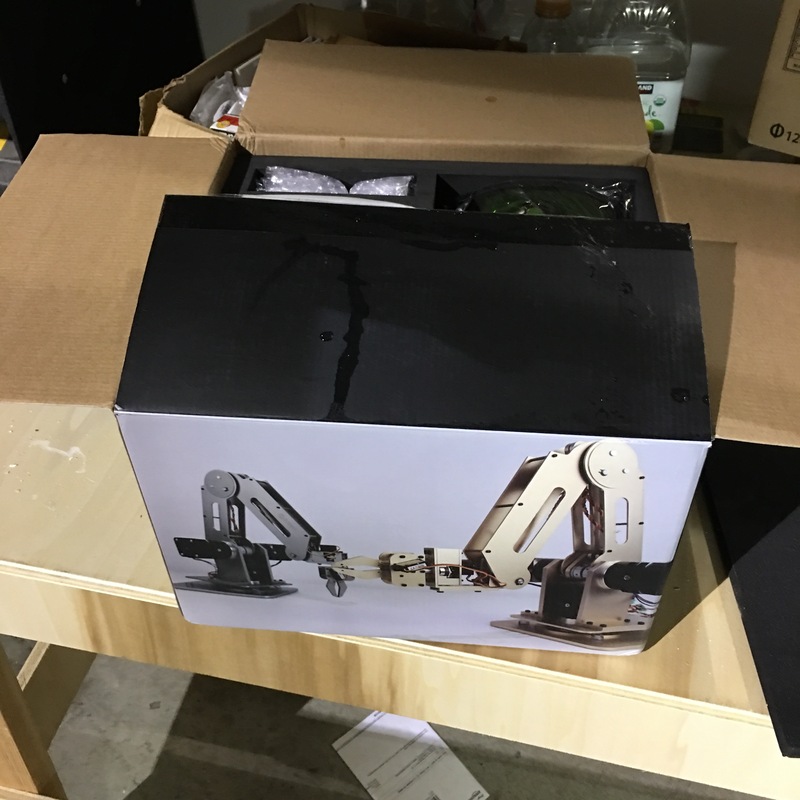 This entry was posted in Shop Log and tagged Apple TV, Dobot Robotic Arm, Electronics Workspace, PCM Project, Shapeoko by kietcallies. Bookmark the permalink.